Sometimes a bathroom is more than simply a room to wash in. It can become a relaxing retreat for those especially hard work days. But in order to relax it should be cozy. A cozy bathroom is not something new. Modern bathrooms can not only feature bathtubs and other sanitaryware but also be furnished and carpeted and finished with wood. 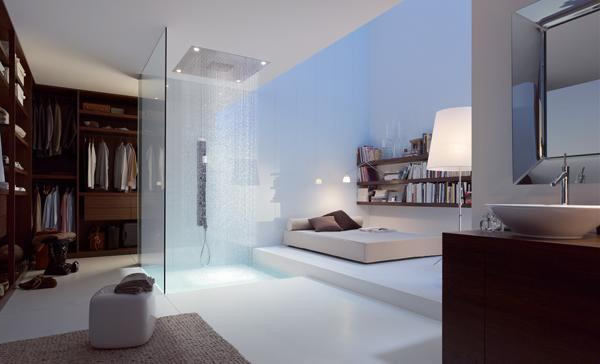 All these other features make the bathroom look less like bathroom and more like bedroom or a living room. If that’s the look you’re after here are some more ideas of making bathroom look cozy. Natural light makes any place look cozier. Look into the possibility of adding one to the bathroom. Let the natural light flood the bathroom and you can even add plants to the design. A skylight can be installed over the shower or a bathtub itself. The bathroom can also be relocated or an additional bathroom can be made in the attic with already installed skylighs. A stylish cozy rug is a great and not very costly way to make the bathroom more cozy. The bigger bathroom will benefit with a bigger rug. The bathroom area rugs can also be cozy and stylish. 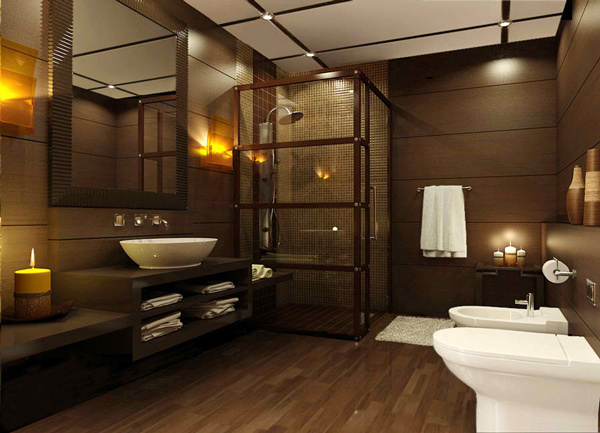 Opt for ones that are good quality and fit your bathroom design. Make sure the carpet is far enough from water sources to avoid damaging it. 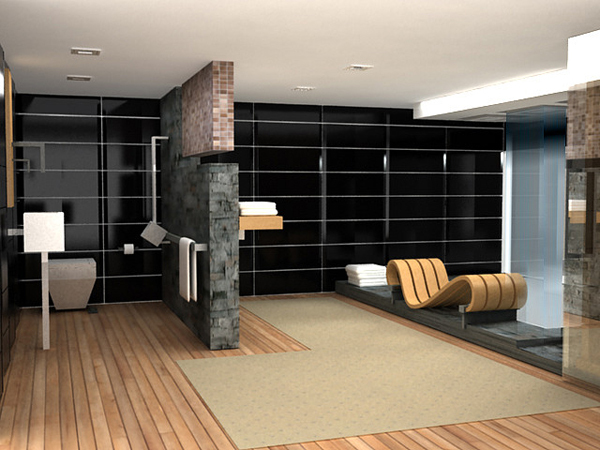 Furnishing a bathroom with a chair or a mini sofa will definitely add a lot to the bathroom design and atmosphere. Furnished spaces are often more cozy so this small addition to the bathroom design will definitely make an impact. A big rug will also look more harmonious in a bathroom with a chair rather than on its own. Although having wooden floors in the bathroom sounds impractical some just cannot resist the warmth of the wooden floors under their feet. Of course, the hardwood floors should be treated with a water-resistant sealant and be treated carefully in general. 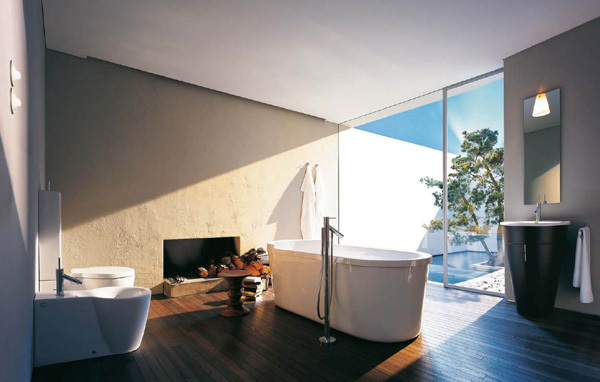 Fireplace is another luxurious thing that can bring in a lot of warmth into the bathroom. A fireplace mantle can be very decorative itself but you can also enhance it with display objects to add to the bathroom decor.